If you already use a sauna to relax and unwind, you know that it can be an enjoyable experience if you’re in the right mindset. However, there are some hidden benefits to using a sauna that you might not have thought about. Regular use can be good for your body and your mind, and it can reduce your risk for certain health conditions–some of which can be extremely serious. The steam will clear your head, strengthen your immune system and relieve your sore muscles, and it will work in conjunction with your healthy lifestyle to keep all systems fully operational. It helps to use your sauna on a regular basis to get the most health benefits, but you may feel better even after a quick sweat. The more you know about how your sauna can improve your health, the more motivated you’ll be to spend time in it. Doing so can bring you peace of mind and a stronger immune system. On top of that, many people find sauna sessions to be a generally enjoyable experience. Although the list goes on and on, keep reading to learn about five of the benefits you might not know your sauna has to offer. There are countless remedies for physical pain, but they’re not equally effective. Some, like medication, even come with the risk of side effects as well as the potential for abuse and addiction. Spending time in the sauna is a healthy way to relieve your pain. Sometimes chronic pain is the most difficult to treat, especially because the source of the problem isn’t always obvious. Frequent headaches are painful and frustrating, and they can have a real impact on your quality of life. The good news is that your sauna can help. Just like using a heat pack after a sports injury, sitting down in the sauna increases your blood circulation and helps alleviate the pain. This is because the heat dilates your blood vessels, so your body gets the right amount of blood to the right areas more quickly than normal. You can recover from both chronic and acute injuries with the help of your sauna, so it could be the right call for your headaches or even your arms after an intense workout. Using a sauna on a regular basis is also great for your heart, particularly because it can lower your blood pressure. High blood pressure will increase your risk for a variety of serious health conditions, including stroke and dementia. You don’t have to spend much time in a sauna to reap the benefits and your heart may be stronger after spending just half an hour in the steam room. 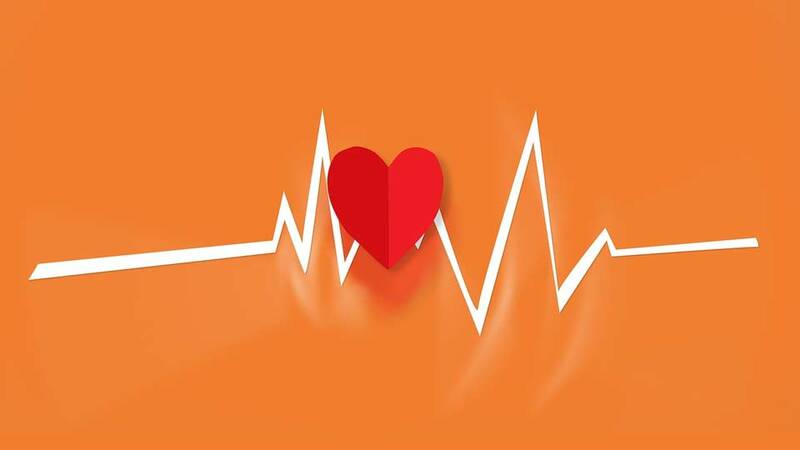 When you have high blood pressure, your vessels constrict and make it difficult for blood to flow. Since heat helps to open up your blood vessels, your blood pressure will drop. Your risk for stroke and dementia will drop, too, so the sauna may protect your heart. Talk to your doctor and find out if a sauna could help treat your high blood pressure and improve your health. 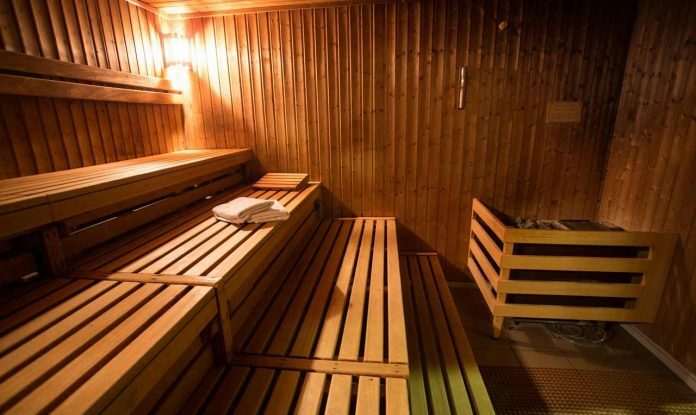 Some people call saunas sweat lodges, and for good reason: The whole point of being in a sauna is to sweat. Physically active people like athletes sweat all the time, especially when they’re in warm environments. The sauna gives you a chance to sweat out your toxins without even moving. You will be in a safe, quiet and relaxing space, which may help you let go of the stress you’ve been carrying. If you have a mental health issue or a mood disorder like anxiety or depression, it may be particularly difficult to get yourself into a relaxed state. That’s where your sauna comes in with shelter and peacefulness. Rather than feeling the need to escape from a situation, you’ll feel like you’re in a safe place where you can take solace and truly wind down. It takes some people a few sessions to really notice the benefits, so don’t be discouraged if you don’t get the effect you were looking for right away. As people get older, their risk for dementia tends to increase. At the same time, it might become harder and harder to exercise regularly and eat a healthy diet. While exercising and eating properly are still important factors that can strengthen your brain as you age, using the sauna may be helpful as well. The heat and steam help your blood reach your brain, so regular sessions may protect you from Alzheimer’s and other forms of dementia. This is an easy way to keep your brain as sharp as possible throughout your entire life. Professional wrestlers might try to lose water weight in an attempt to drop down to a lower weight class, and sweating is a good way to do it. You lose water weight when you sweat heavily, making your sauna a viable option for weight loss. You’ll still need to eat properly and exercise enough to lose the pounds and keep yourself at your ideal weight, but regular sessions in the sweat lodge can move the process along. Sitting down alone in the heat can also make your mind and body feel more connected, and that can keep you motivated to stick to your regimen. The sauna isn’t just a place to relax. It’s a place where you can really rejuvenate your body while feeling safe and protected. It’ll ease your pain, help your heart and your brain and even make it easier to lose weight. Chris Hoffman is the founder of Backyard & Pool Superstore currently based outside of Dallas, TX. Backyard & Pool Superstore is an e-commerce leader in backyard, pool, spa, grill, and patio products. Before starting Backyard & Pool Superstore, Chris has had 10 years of retail, construction, manufacturing and distribution experience in the swimming pool and spa industry. When Chris isn’t working, he moonlights as baseball coach, dance recital standing ovation specialist, husband, and German Shepherd enthusiast.